Hi everybody! Wow, can you believe that January has almost came to an end? I don't know about you, but I have the feeling we were celebrating Christmas just a week ago. Time's running by so quickly! How has the first month of 2018 been for you? We got some great news, some good news and some bad news, so it's been a mix of everything. But it's been mostly good, so I'm not complaining. I'm just hoping it'll continue the way it started. Today starts a new challenge at The Sketchy Challenges blog and this time we have sketch for you. I like sketches, but I have to admit this one was a tough one for me, because it was so clean and simple. I kept wanting to add layers. But at the end I managed to resist the temptation and so I made this card. Earlier this month I received a happy mail from my sweet friend (thank you Ren!) and among all the amazing things she sent me was also this amazing glittery washi tape. I absolutely love it. 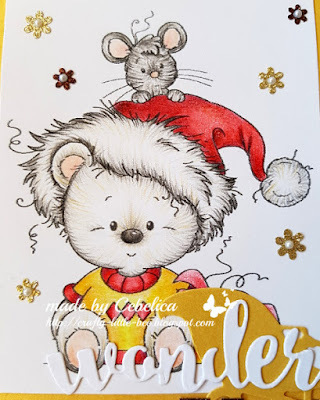 I used it to create background on my card. 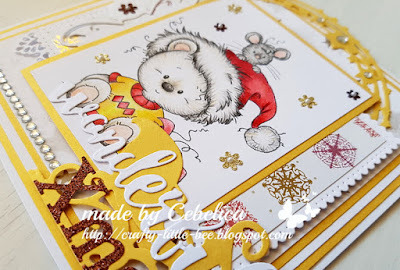 Then I cut a piece of white cardstock and embossed it with cuttlebug's embossing folder. 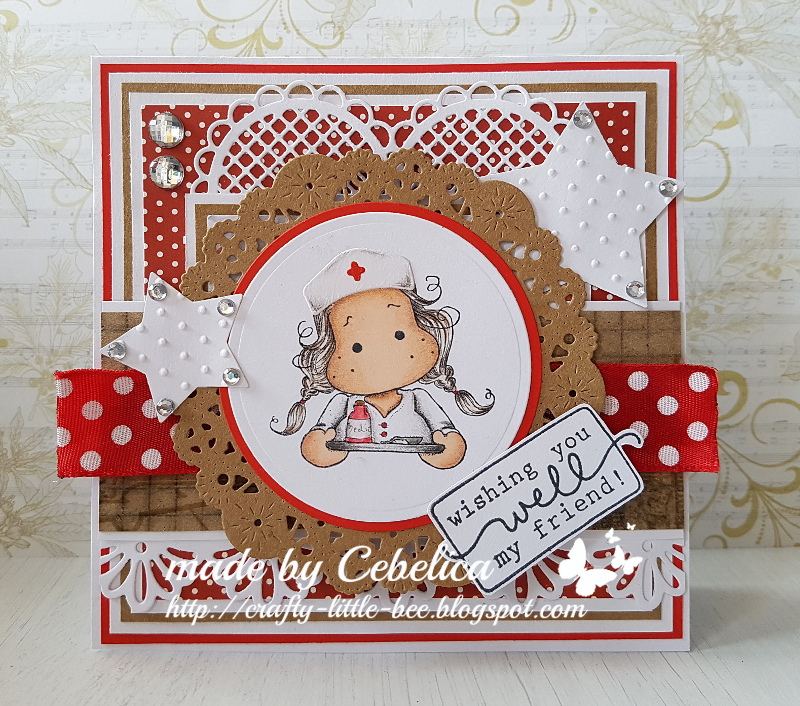 I finished the card with some pearls, glittery star sticker and glittery snowflake ornamentt. In the center of the snowflake I glued the word "joy" which I stamped on a white cardstock and cut out with my scissors. Hello everybody! 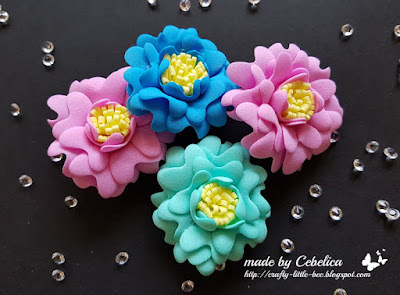 Today I don't have any card to share with you, but I have something else - a foamiran flower tutorial. :D Did you know there are lots and lots of foamiran colours available in Magnolia-licious store? 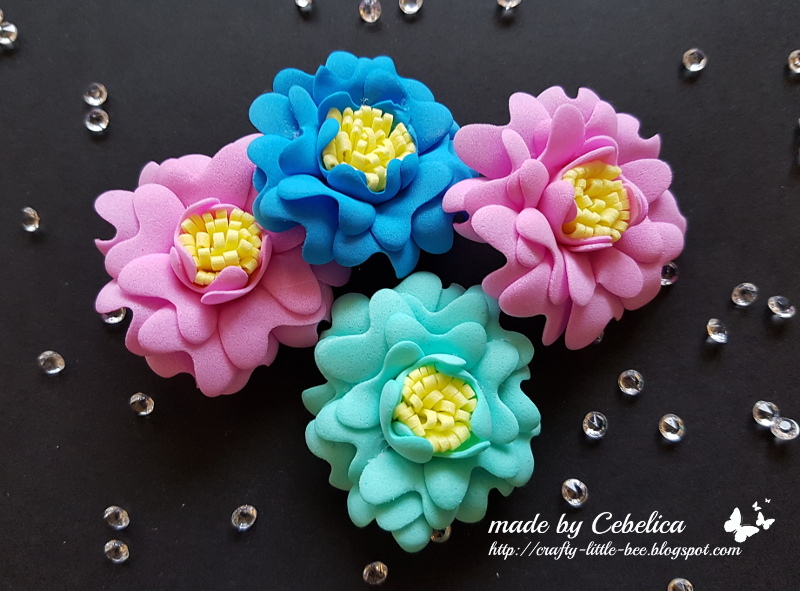 For my flowers I used pink, lemon, blue and mint foamiran and Magnolia stethoscope die, which is also available in Magnolia-licious store. Hello my crafty friends! I have another Christmas card to share with you. This one was made last year and it has already arrived to its destination, but I haven't gotten the chance to show it here yet. 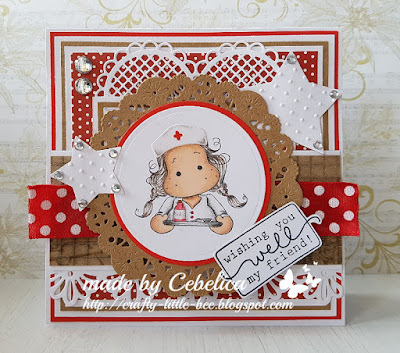 The image is from Whimsy stamps and it was a freebie some time ago. I coloured it with pencils. Papers are from Folia and Docraft. 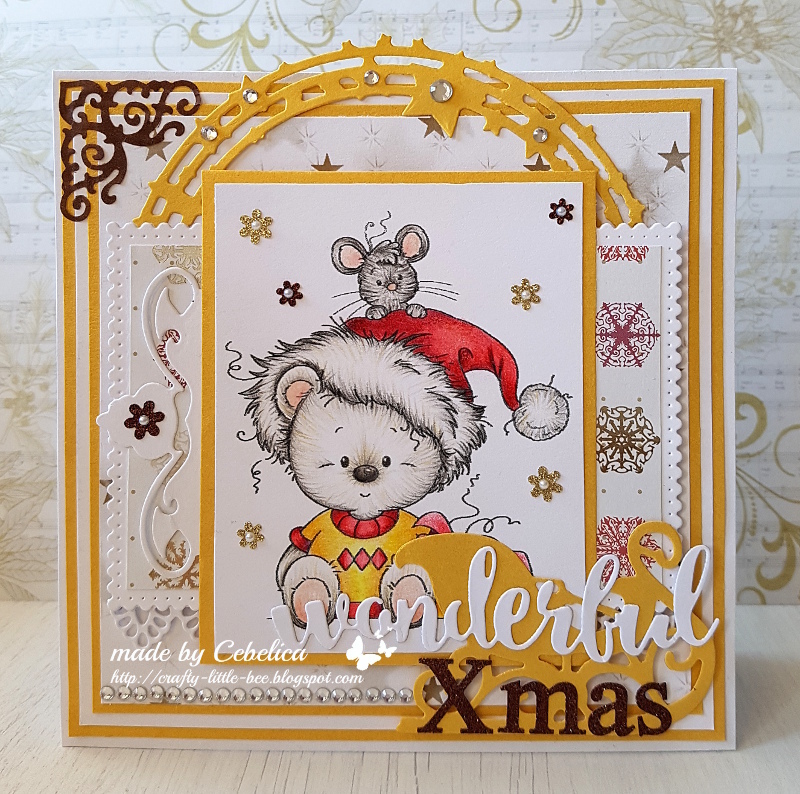 I used several different dies on this card (from LLLC, LDRS...) and I spelled Xmas with glittery alphabet stickers. Those flowers/snowflakes around the image came with the same set as the alphabet stickers. To decorate the card I used some crystals. On this card I used the cute Christmas Tilda stamp from Christmas party collection. I coloured the image with distress inks and at the end I covered Tilda's dress and shoes with Wink of Stella for some shimmering look, but unfortunately you can't see this in the photo. I made the flowers myself with white Foamiran. This thing is so much fun to play with! If you haven't already, give it a try. Shawn has a lot of colours available in the store. Papers and embellishments came from my stash. All the layers are put together with foam pads to give the card some dimension.